- add backward search button on search function. - add the option "Viewer Mode". It hides the IME on note view. 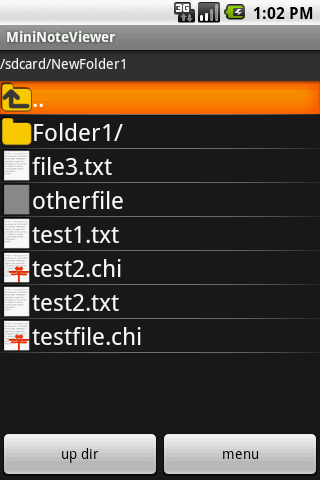 - add the menu to search in a folder. 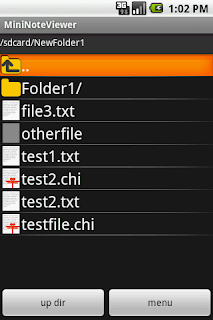 New feature is searching text across in multiple files in a folder. There are some differences between this app and Tombo. Firstly a file include search word is opened as read-only. And found file list is not made. It's not like "grep". these may cause bad performance. If you have a such folder. please let me know about its performance.